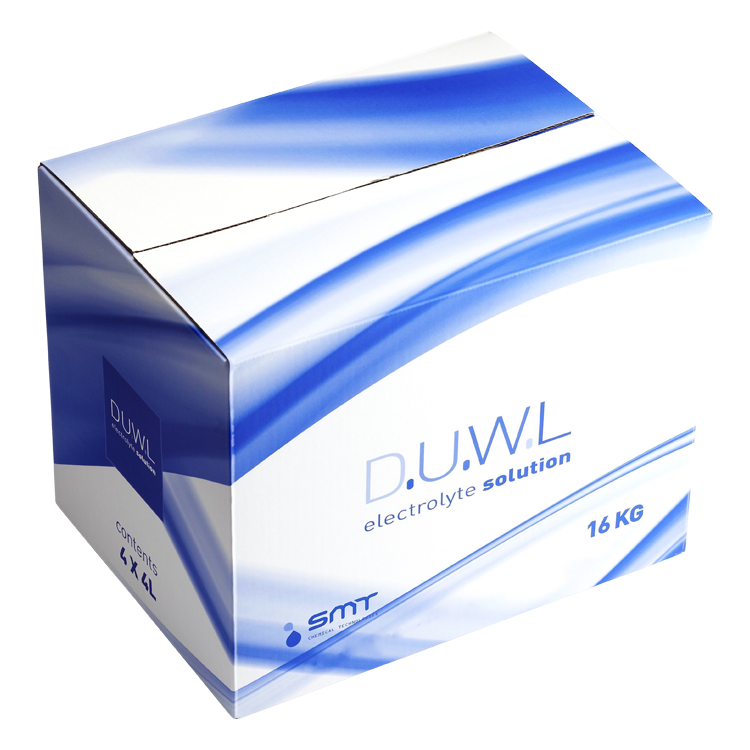 This set of 5 retail cartons incorporate a euroslot for ease of display and are litho printed onto a solid board. 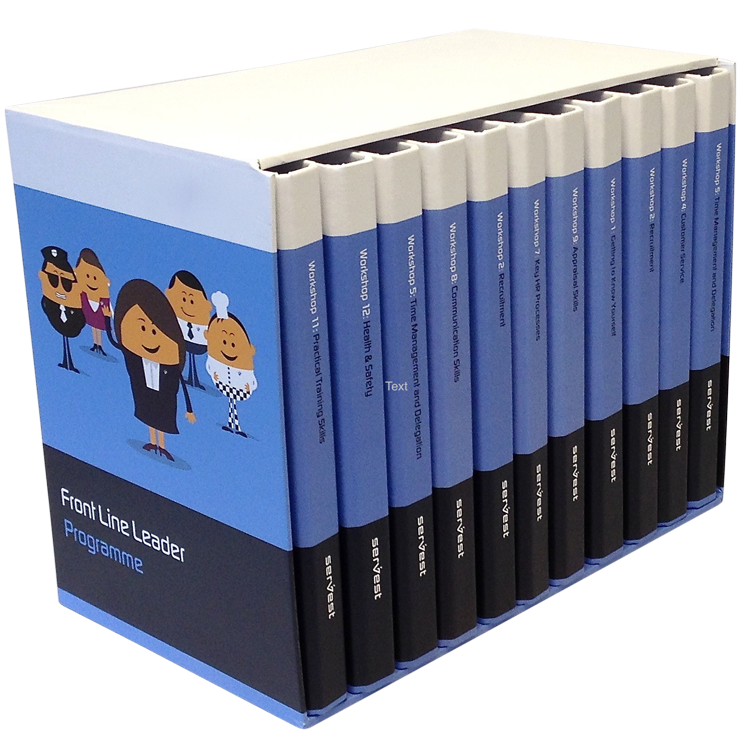 This bespoke free standing display stand is manufactured using 2000 micron ebony Colourplan for appearance and to ensure stability. We printed 2 x B1 sheets five colour litho which were then mounted to the Colourplan. 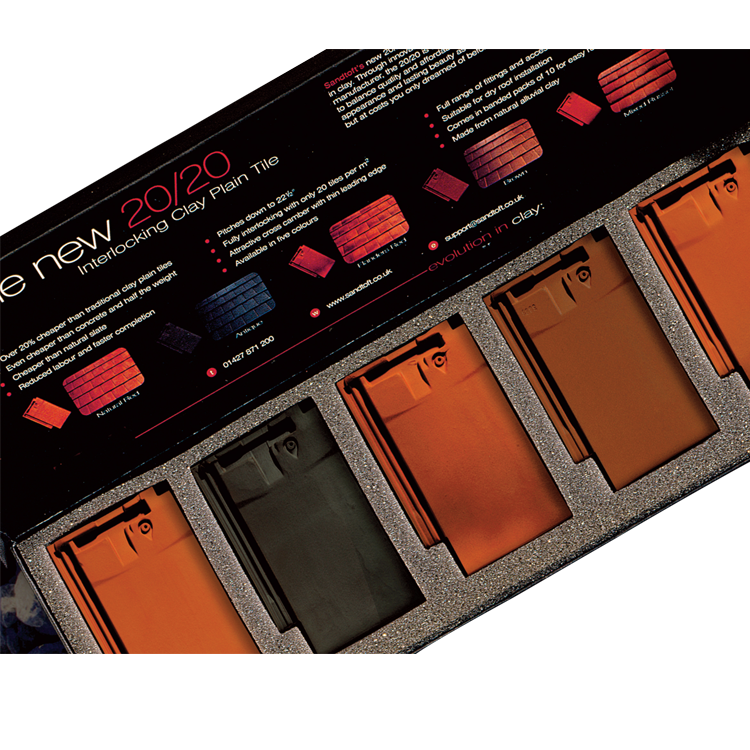 We used Colourplan so you do not see any white edges after it was die cut to give a high end finish. 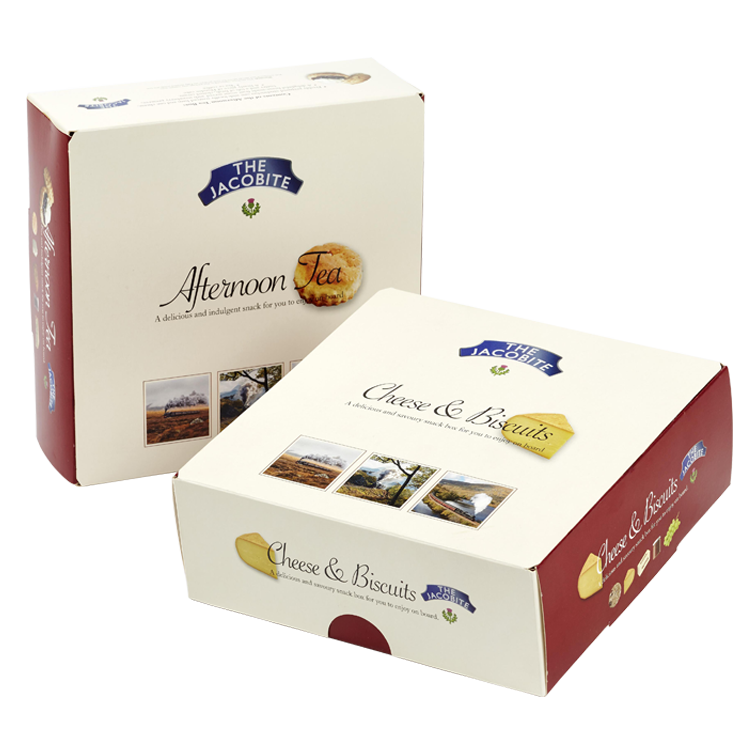 These attractive picnic boxes have a custom designed fitment to cater for a wide range of food contents. Litho printed on to folding box board and diecut to size. 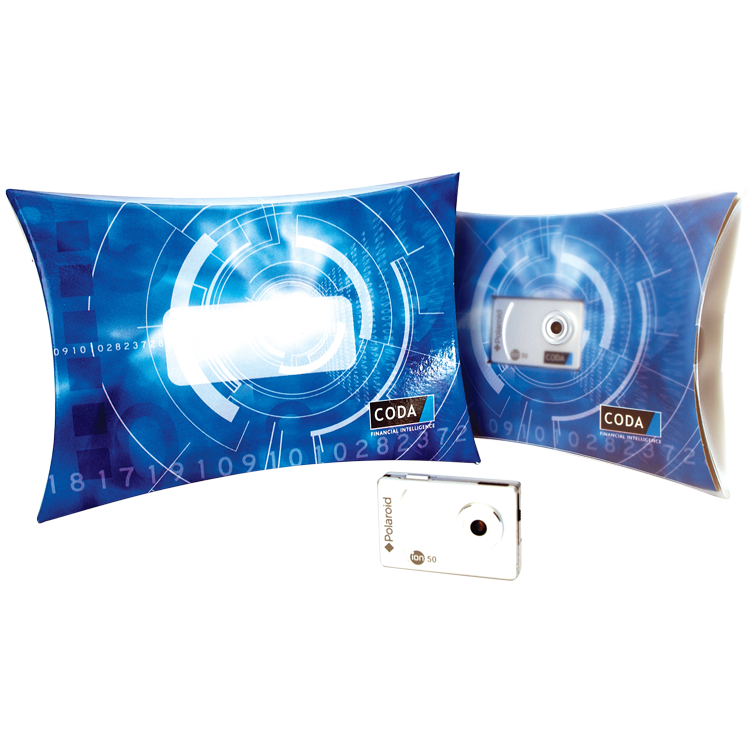 We can provide cost effective print solutions to compliment your packaging. Created using one sheet of 350gsm Colorplan and one sheet of 350gsm Mohawk duplexed together, printed digitally with a black foil and black eye let. 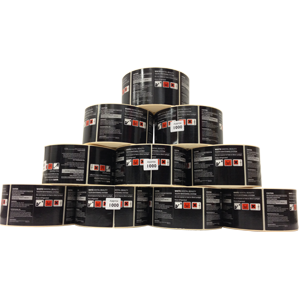 We produce custom printed labels using a variety of printing methods in all shapes and sizes. Single, 2 or 4 colour. 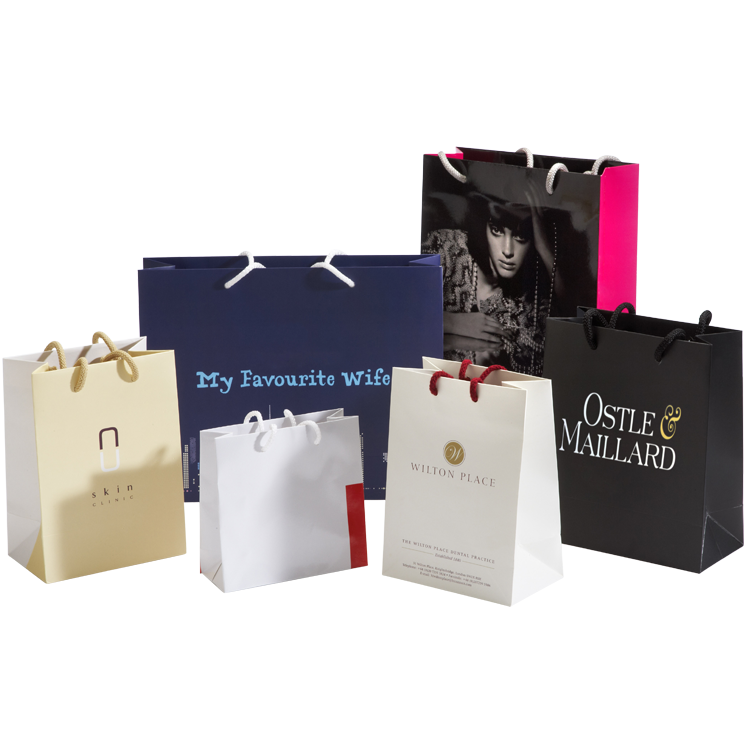 We design and supply a selection of luxury litho and digitally printed paper bags in a range of bespoke sizes. 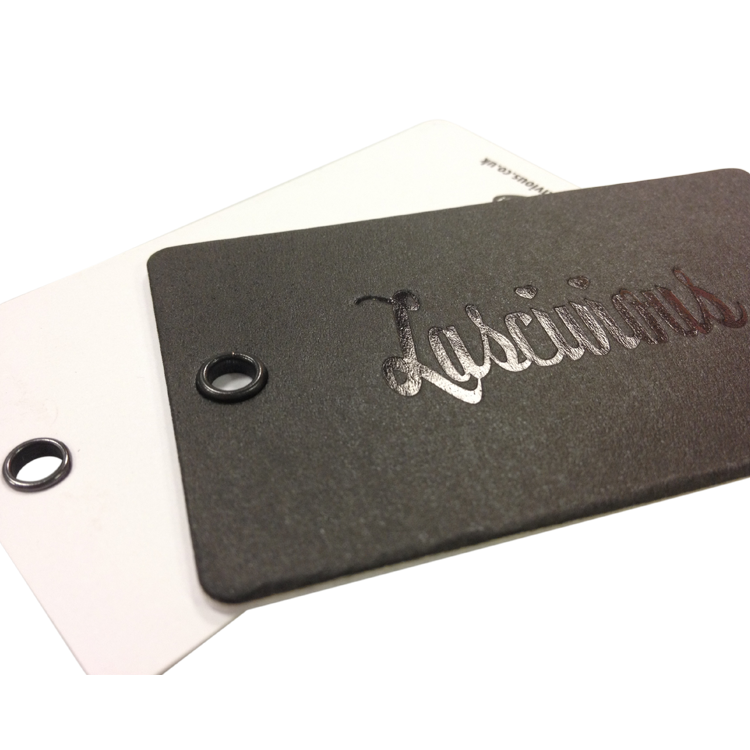 Embossed black Colorplan to lid and base with silver foil logo to lid. We mounted litho print to 2000 micron grey board with matt lamination and white HD foam fitment for a stunning end result. 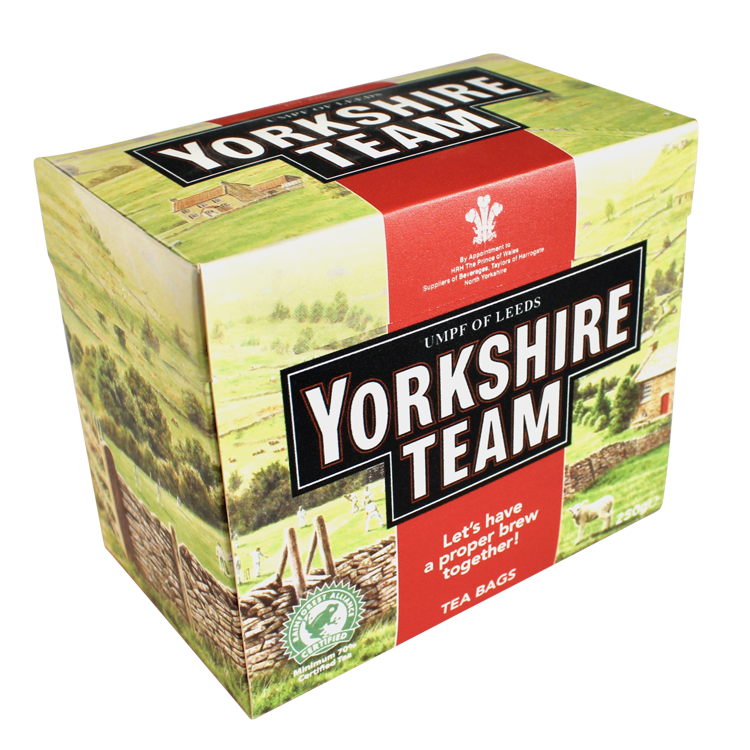 Teabag box promotional pack digitally printed onto folding box board. Litho laminated print over 2000 micron grey board with internal blue liner and magnetic closer. 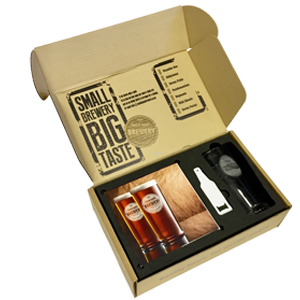 A small batch of this box was printed digitally directly onto corrugated board. 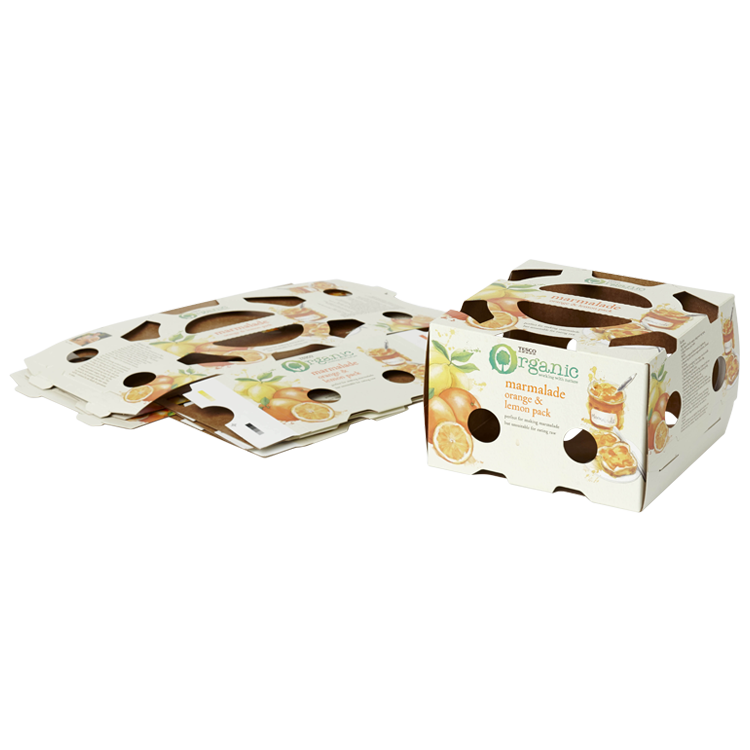 Both boxes are fully self assembly with no gluing required, and fully recyclable. 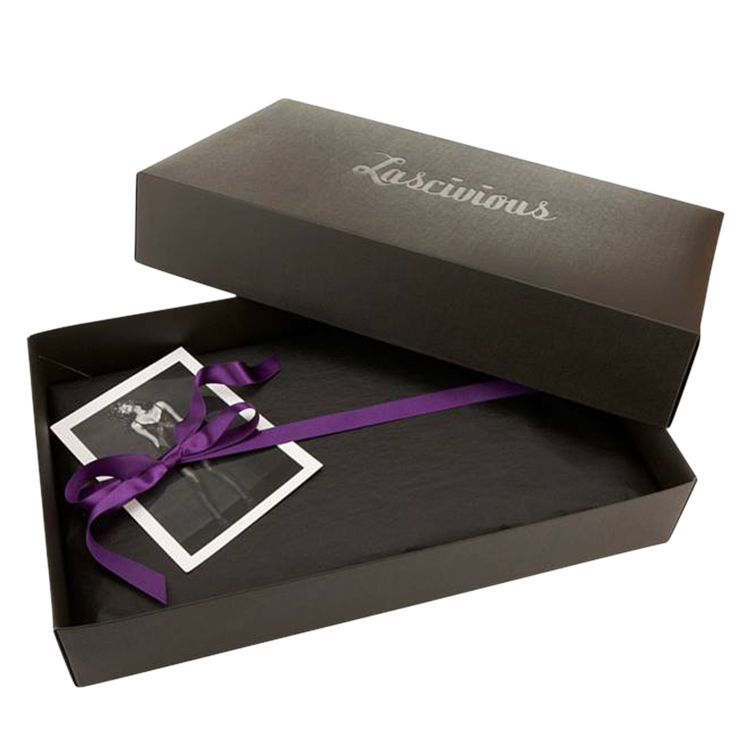 This lingerie packaging has been reverse printed solid black onto a box board and foiled with black foil to economically create a stunning end result. Working from our prototype these were produced using a stock from the Winter & Co range with double magnetic closer and copper foil turned over 2000 Micron Board. This bespoke design was created using litho print, HD foam and paper over board with chrome mechanism. 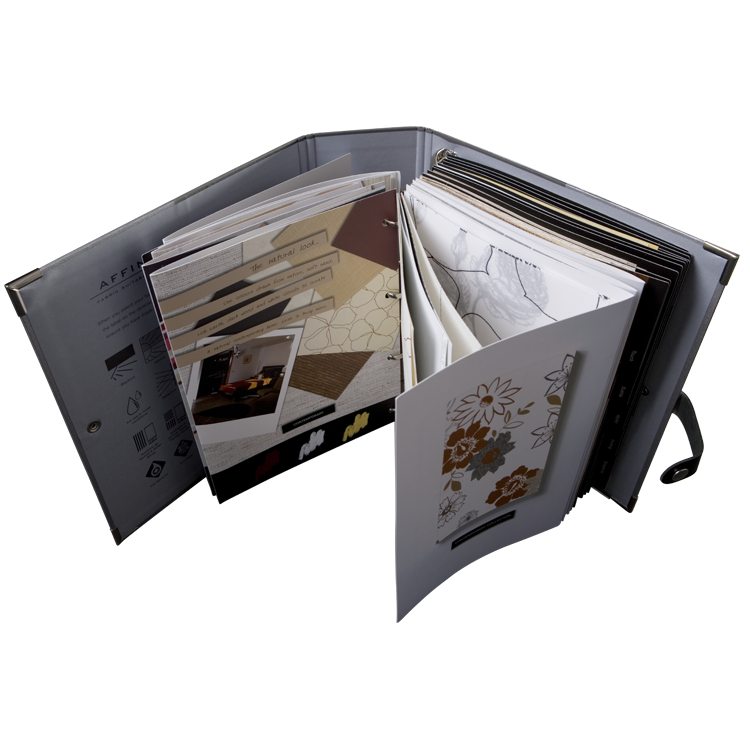 We used litho print wrapped over grey board with a large chrome mechanism and press stud fastening. 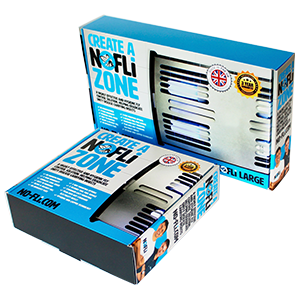 This pack was produced to a bespoke size combining Promolyte and cut vinyl lettering. 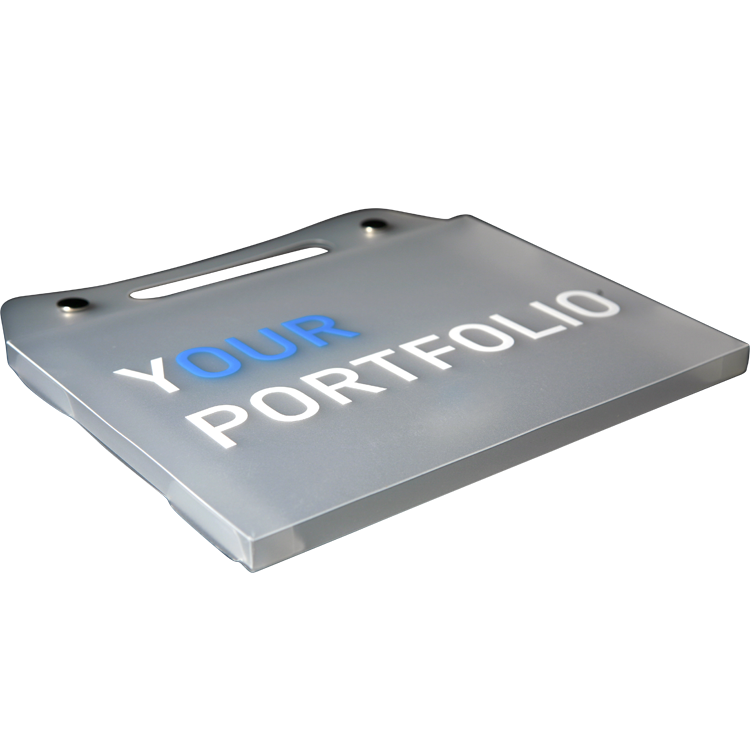 This A4 + folder has a 2 chrome press stud closer and is screen printed with 2 spot colours onto semi-opaque polypropylene. 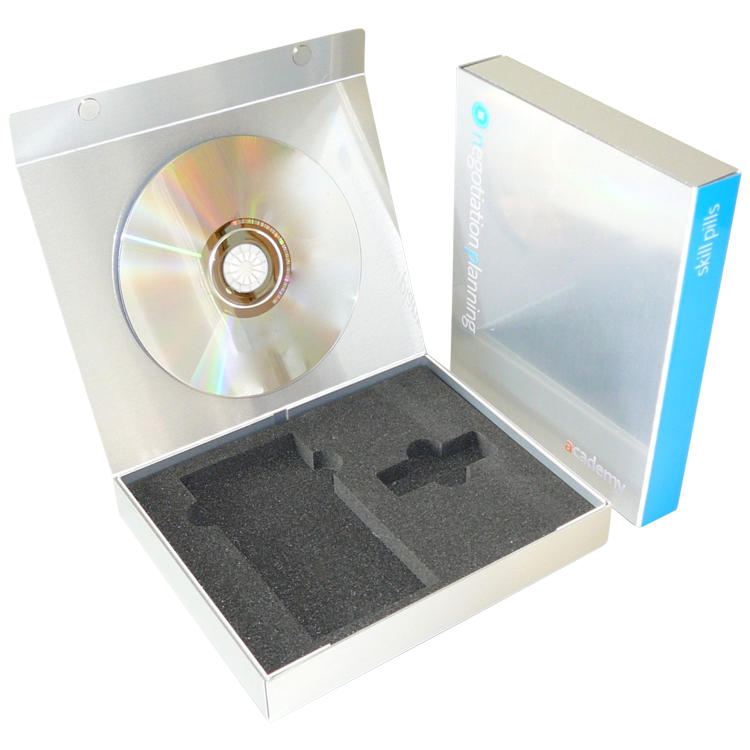 A DVD, USB and product cards presentation box with Cut vinyl lettering onto a Promolyte box with magnetic closer. To house brochures and data sheets. Also includes a foam fitment to hold them and a DVD. Litho printed, paper over board, and gloss lamination. 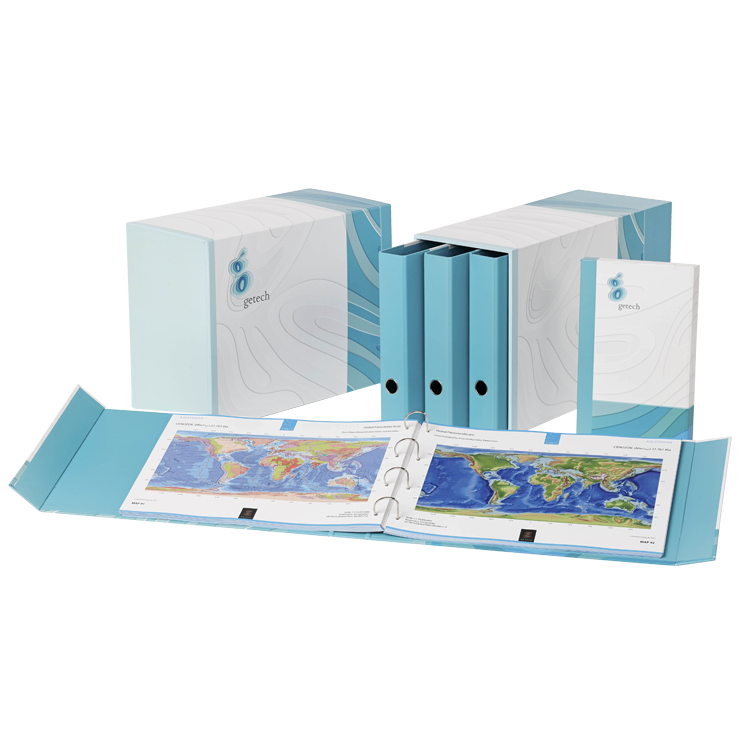 Both the 3 bespoke binders and the tailor made slipcase are wrapped in 4 colour litho print and are the perfect accessory for that big presentation or pitch. They can be made to any size and branded accordingly. Using litho print and matt lamination mounted to grey board. Screen printed with a black logo onto Promolyte with chrome mechanism. Landscape A3. 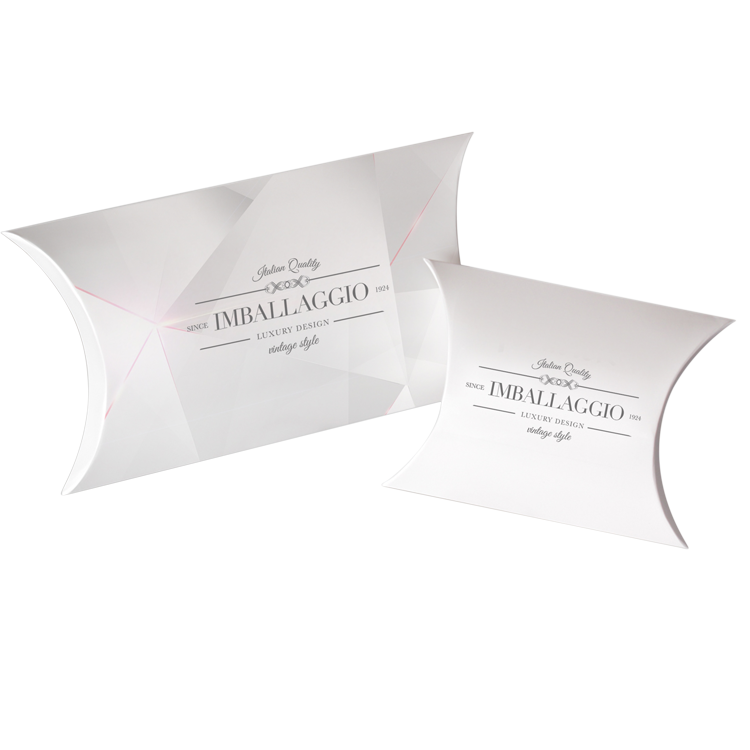 Litho printed paper over board with PVC pocket and a chrome mechanism. 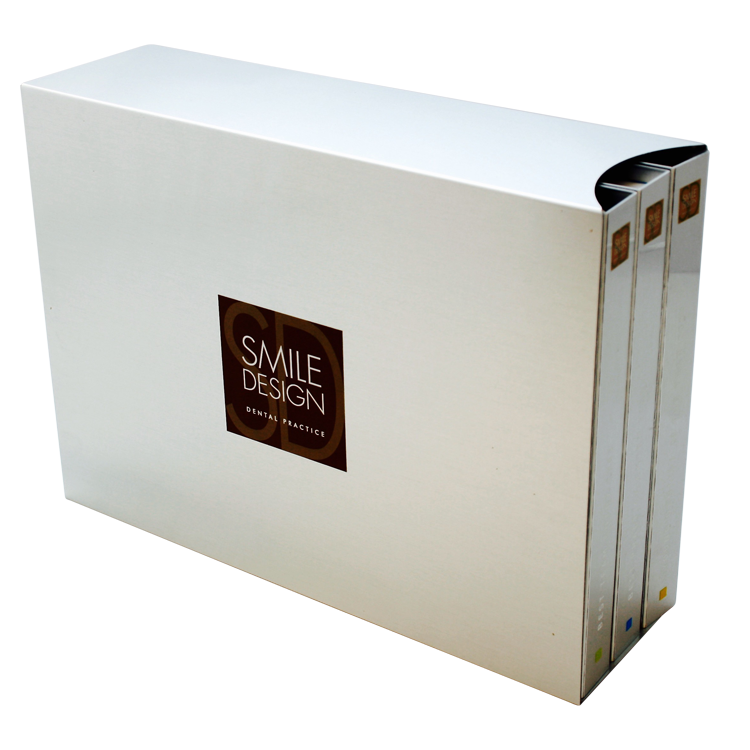 Set of three different sized presentation binders are produced using litho sheets mounted onto a grey board base. 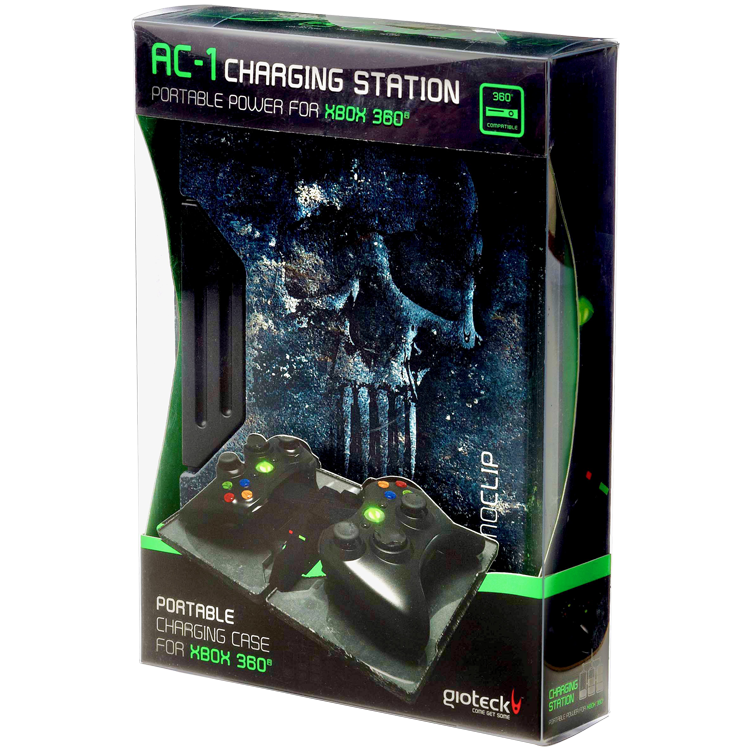 Each has a chrome mechanism tailored to its size. 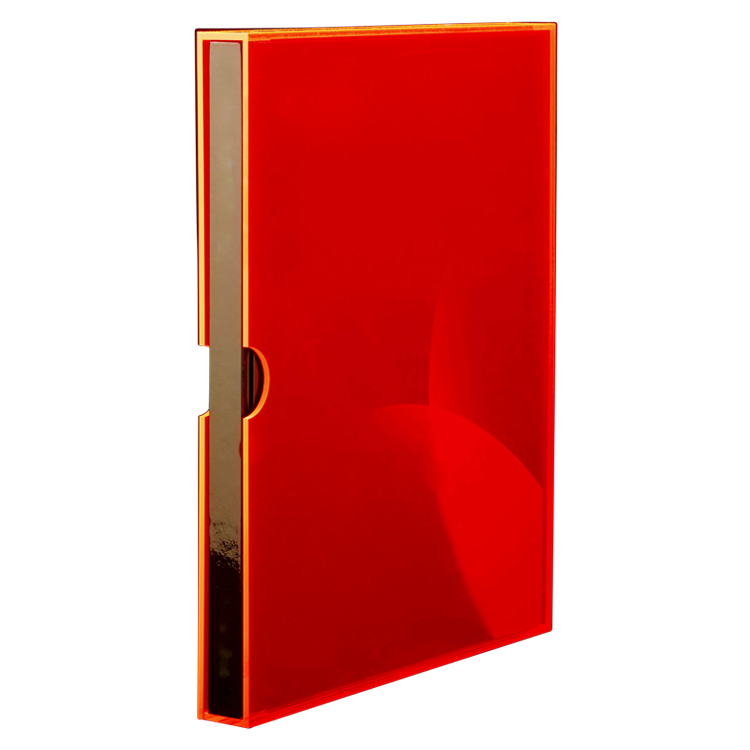 Made for a hard back book, this glow edge Perspex offers something different for presentation. A bespoke design for Virgin Trains. We used single colour print to both sides onto carrier board. 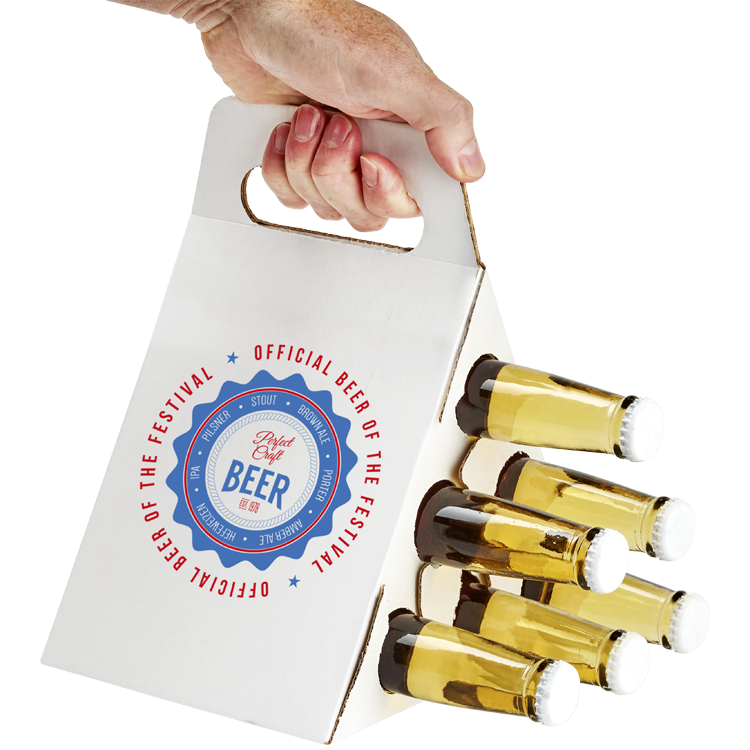 The pack contains 2 x 500ml bottles and 1 pint glass and is fully recyclable. 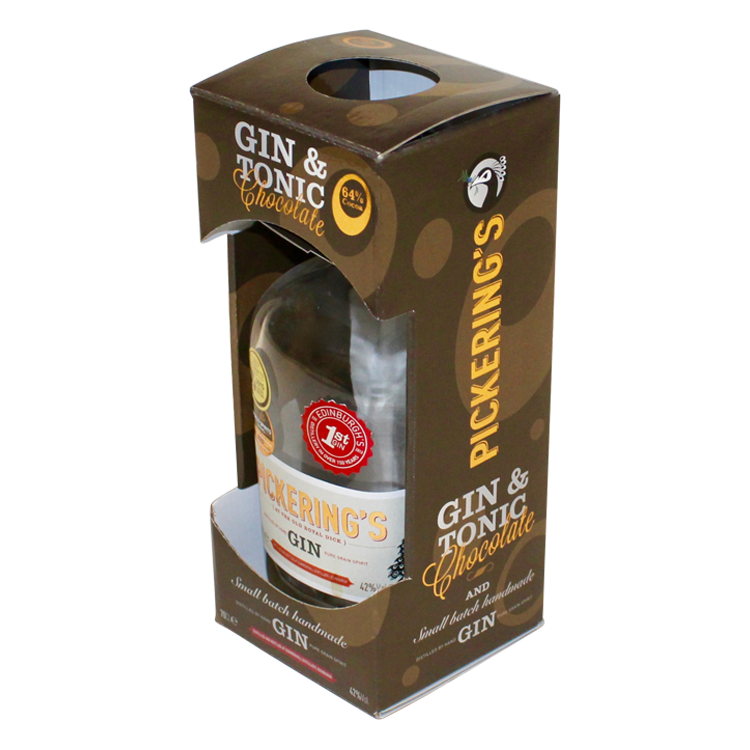 Produced from our prototype design this pack needed to house a bottle of gin and bar of chocolate under the lid. Litho printed with a UV varnish finish, die cut and glued. Bespoke designed box to transport refrigerated juices from supplier to customer. 2 colour litho lamination, die cut and glued. Made to measure sleeve litho printed on to folding box board. Designed with clear acetate windows to display 6 snacks. 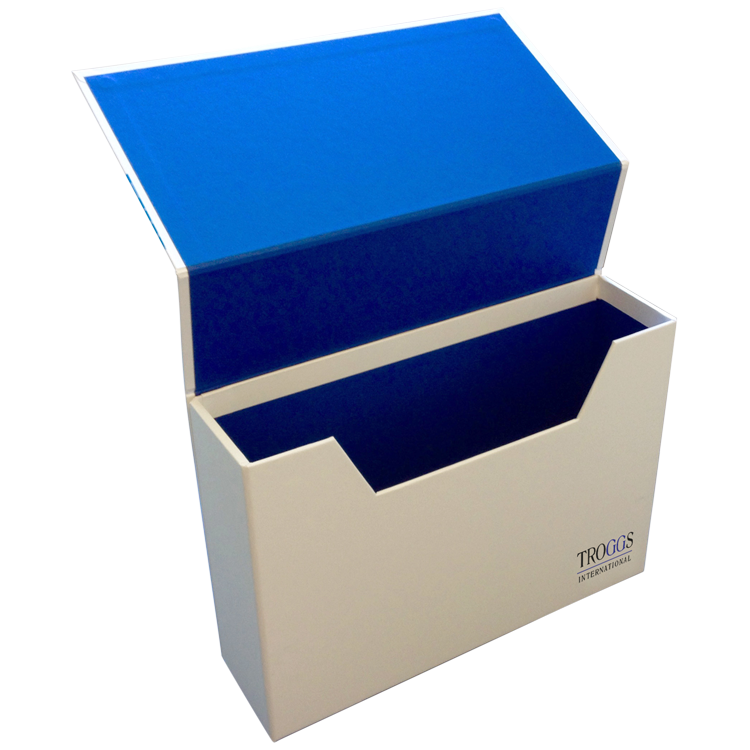 This combined 5 colour litho print and a folding box board. 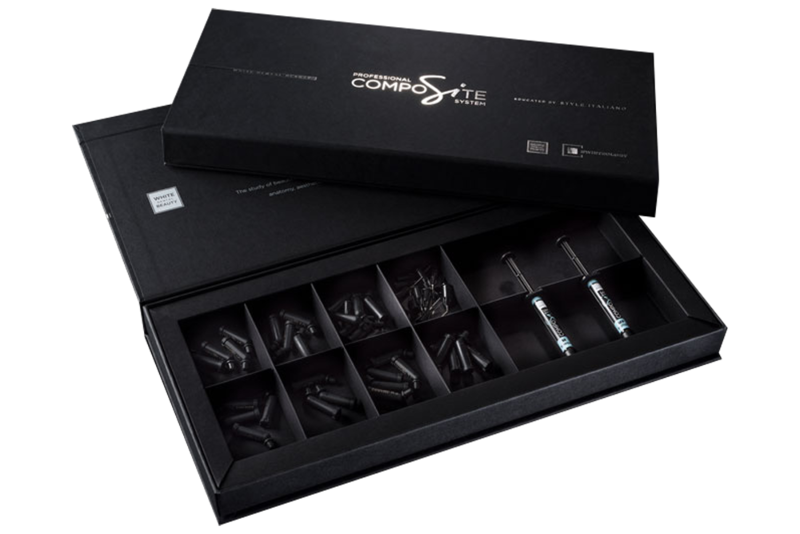 This presentation box has a custom made high density foam fitment made in three layers to incorporate three very different size contents. 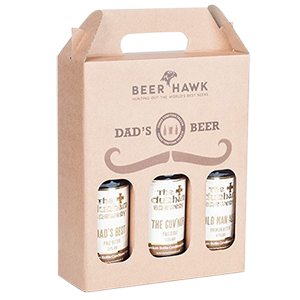 It is digitally printed directly onto corrugated. 2 colour screen printed onto brown E-flute, die cut and glued. Produced by using 2 colour screen print onto a white/ brown corrugated board. 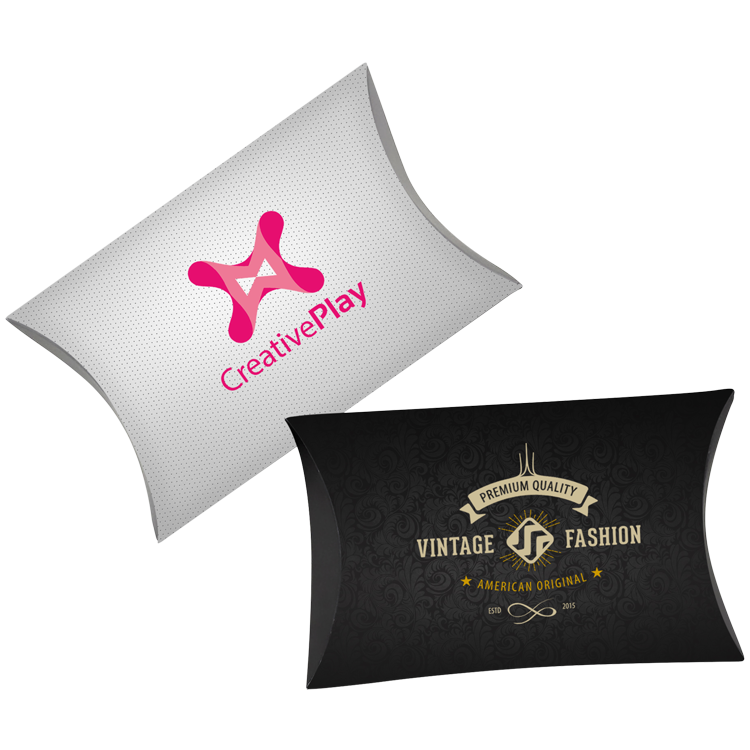 Litho printed in 2 colour onto semi-opaque polypropylene creating an unusual end result. 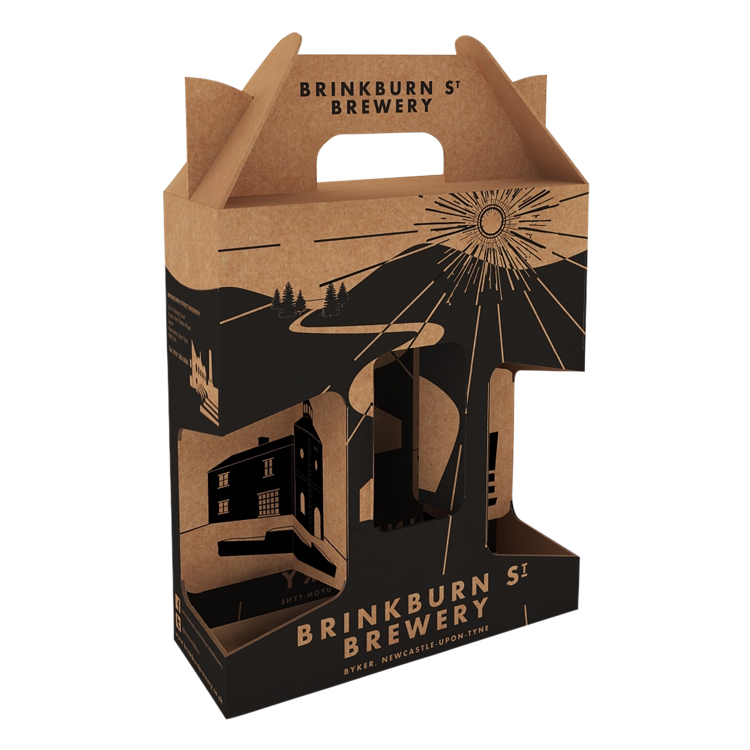 We used single colour screen print onto brown corrugated board and diecut. Litho laminated print, embossed die cut and glued with hidden supporting collar. 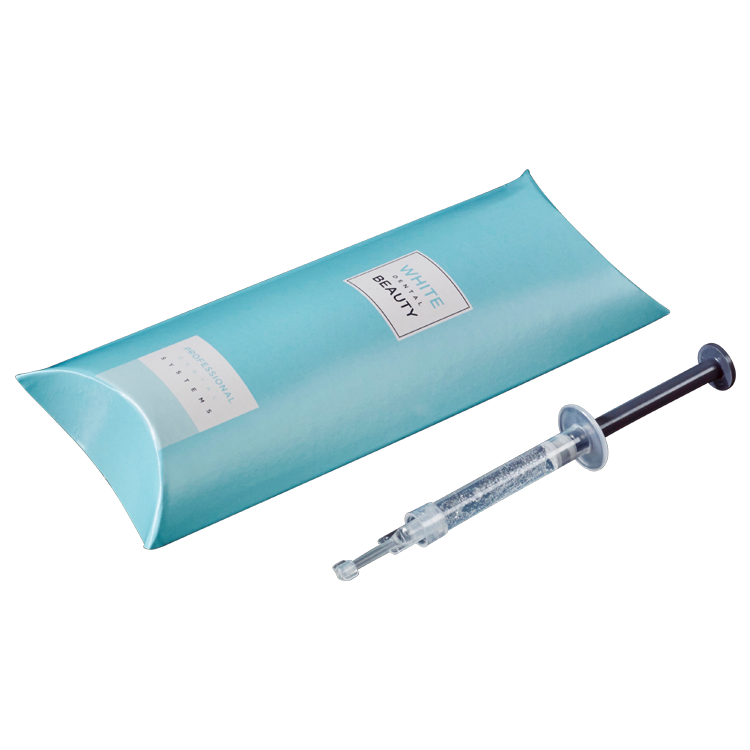 The pack was constructed from micro-flute corrugated board. 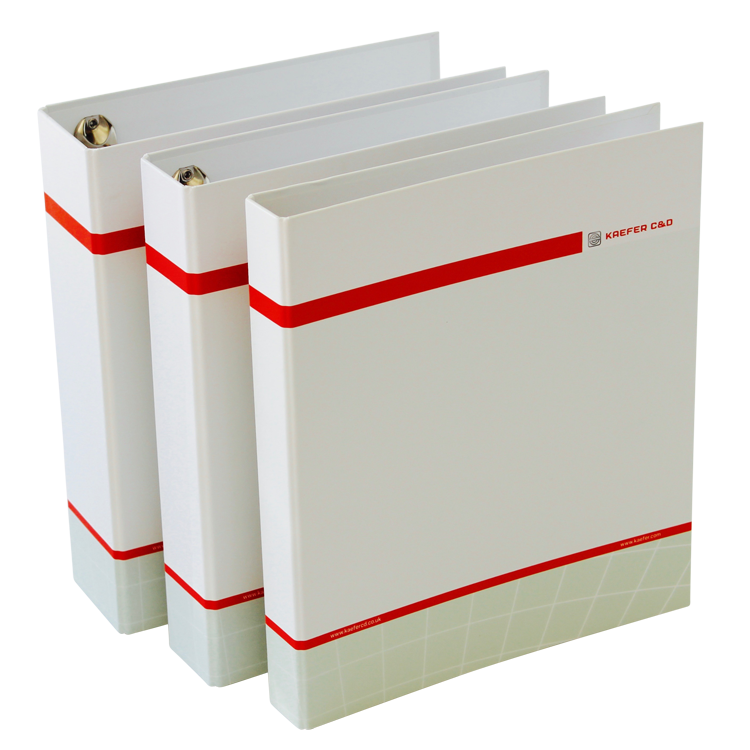 We were commissioned to produce two bespoke heavy duty binders. Paper over board to house a selection of material swatches. 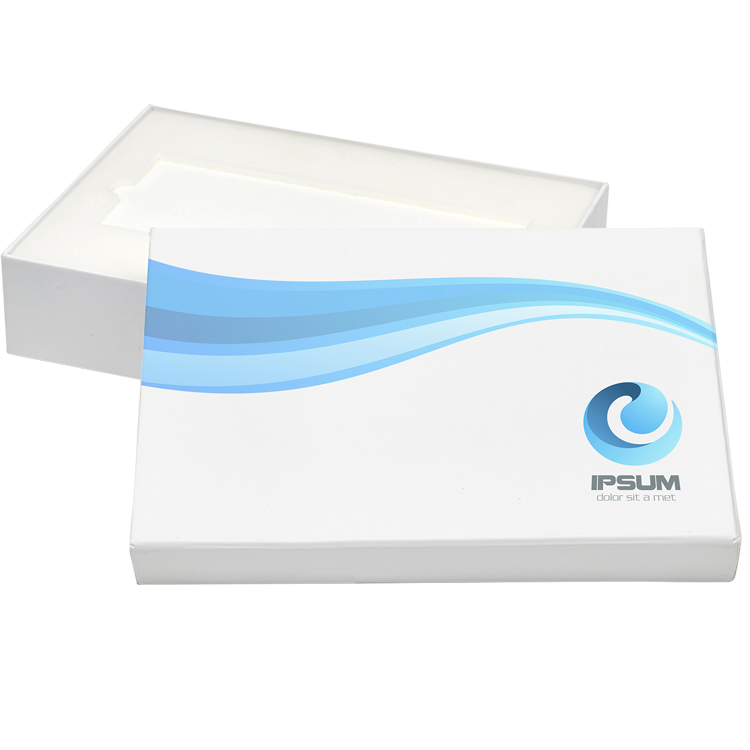 This large paper over board box was produced by laminating litho print to 1500 micron grey board. 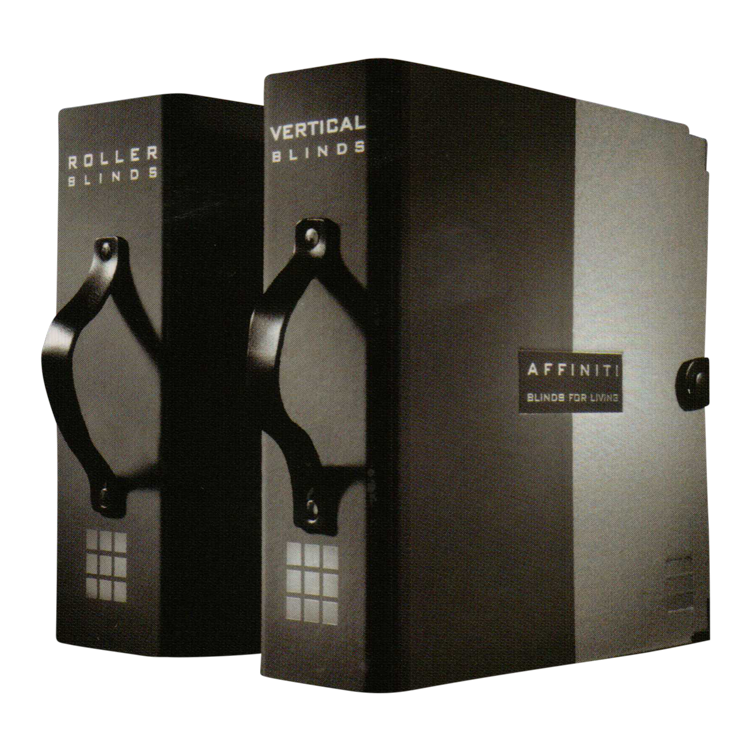 A lid and base box was produced to hold multiple data sheet inserts. This top end finish was achieved with stunning graphics and litho print wrapped over grey board. 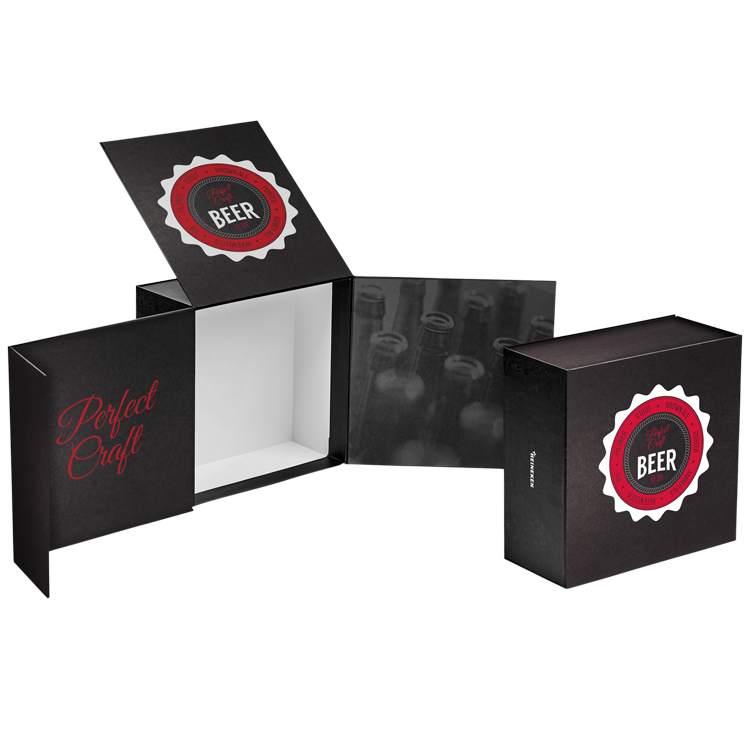 This paper over board rigid box has hidden magnets and a hinged lid. For this job married litho print wrapped over grey board with a bespoke foam fitment to create a stunning end result. 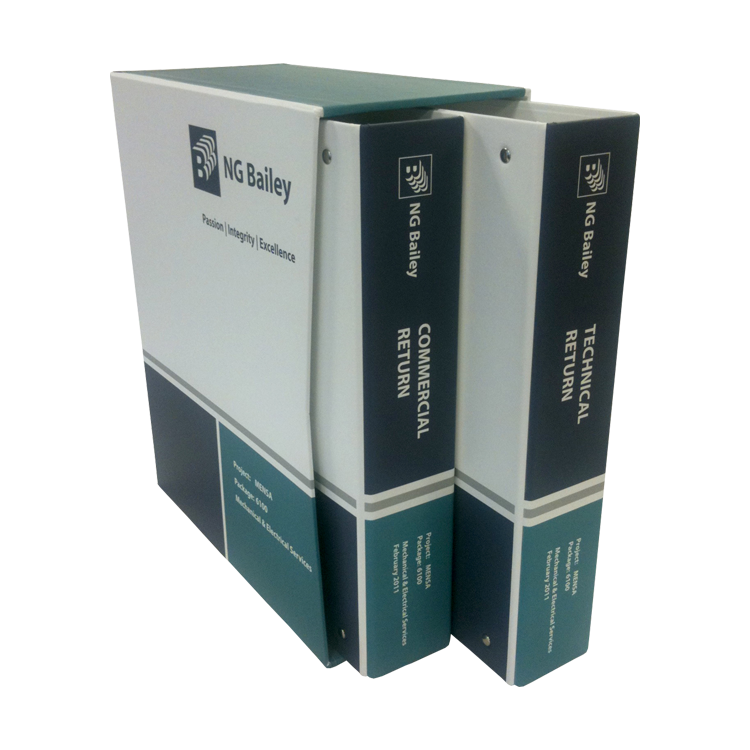 This pair of printed ring binders are tailor made and fit perfectly into the branded printed slipcase. 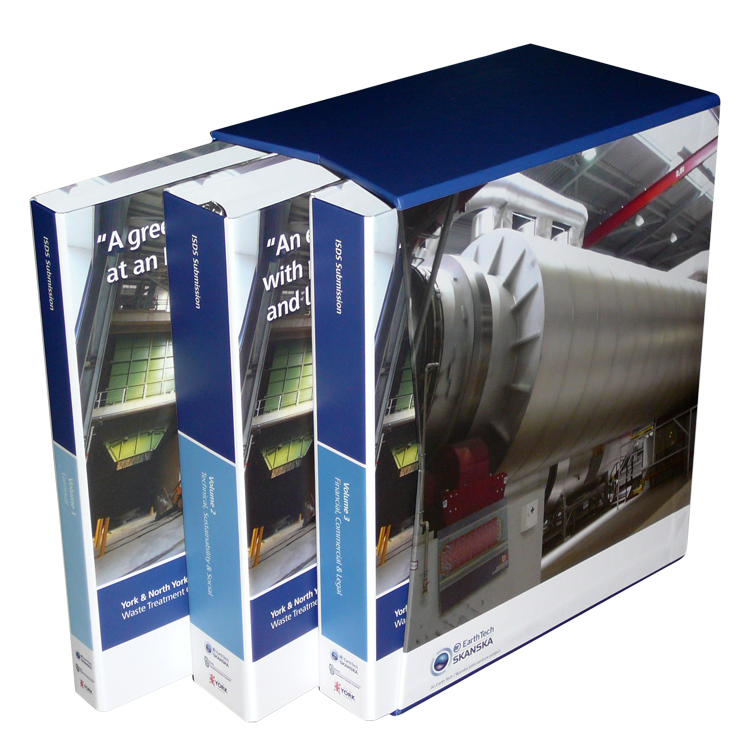 Both the custom ring binder and slipcase are wrapped in four colour Litho print with a soft touch matt lamination. 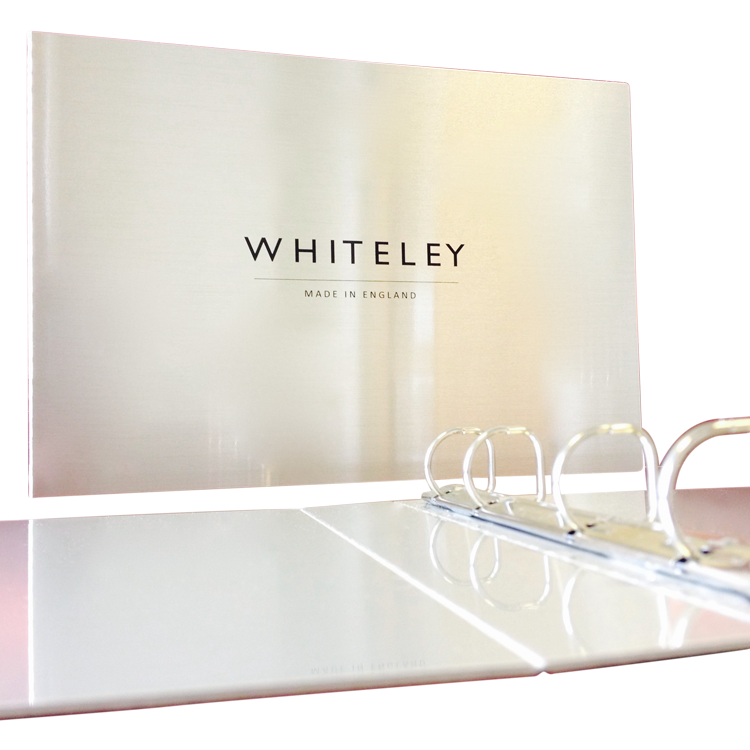 Personalised ring binders are essential tool for that big presentation or pitch. 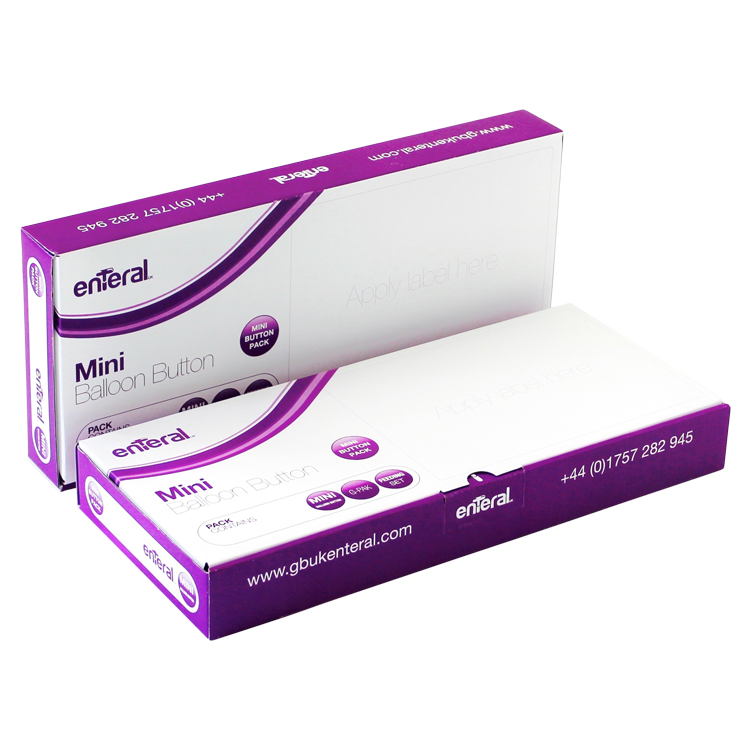 This box is covered with a cloth effect outer skin and a single colour white foil to the lid. 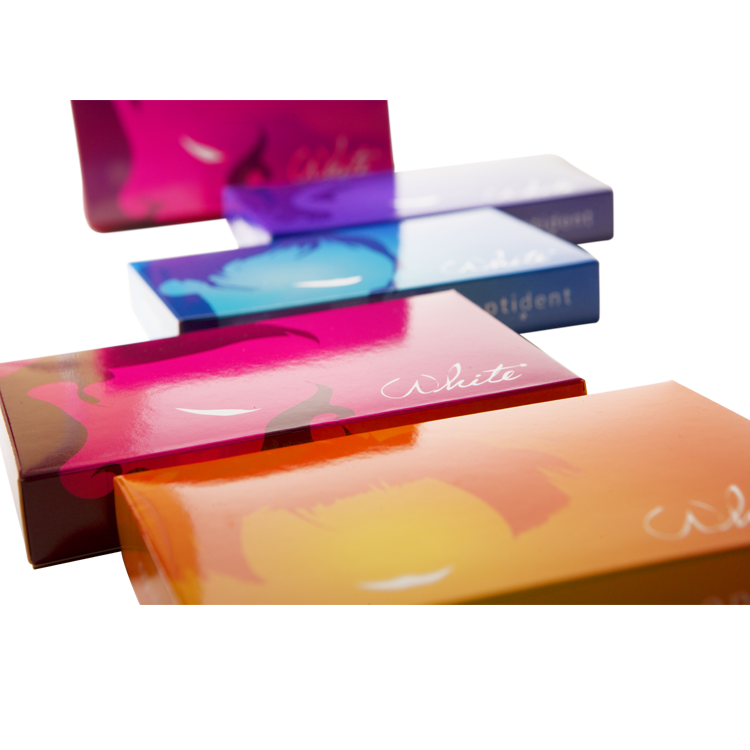 These 3 different sized litho boxes have been produced using the litho-laminated process onto corrugated white E-flute. Working from our prototype we litho laminated 4 colour sheets both sides onto E-flute corrugated board. Strong enough for transporting a nail varnish drying lamp. For this we used metallic silver and pink pantones, litho mounted onto B-flute corrugated board. This box has a fitment incorporated to hold six bottles of varnish. We used 4 colour litho print sheets mounted onto corrugated board. This corrugated box in an 0427 style is a great combination of strength and stylish design. 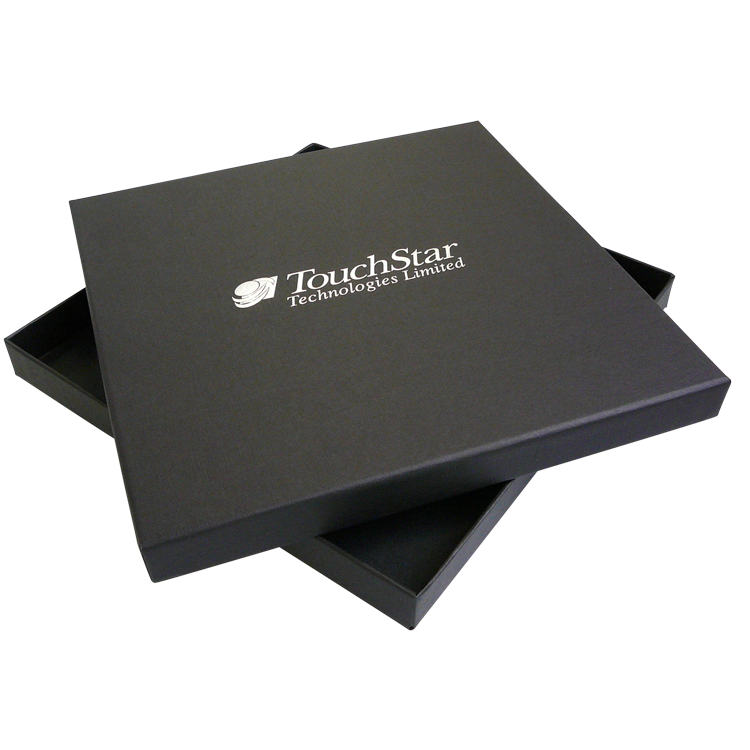 With the help of a litho lamination you can bring to life even the most basic style of box and turn it in to something striking. 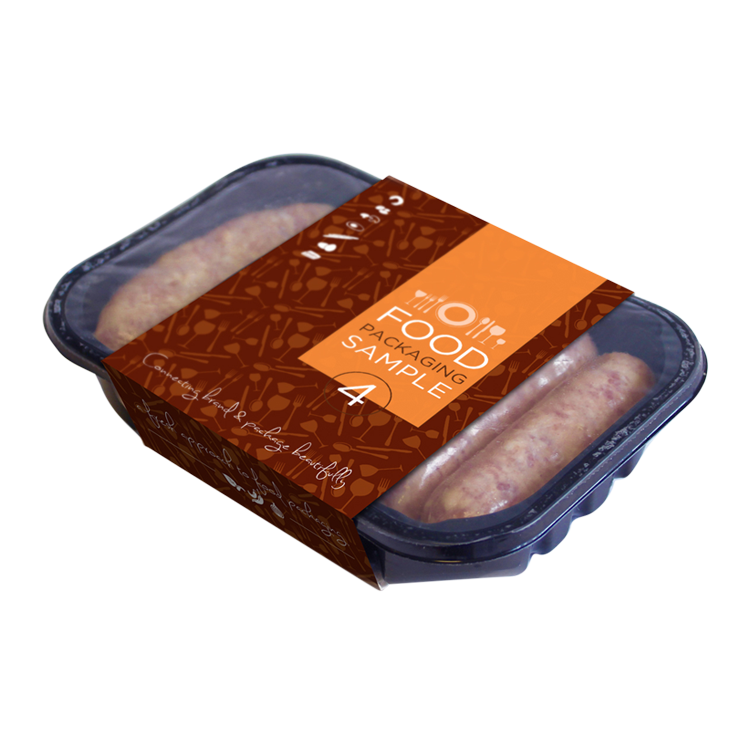 Branded corrguated packaging is an excellent solution for a wide range of products. 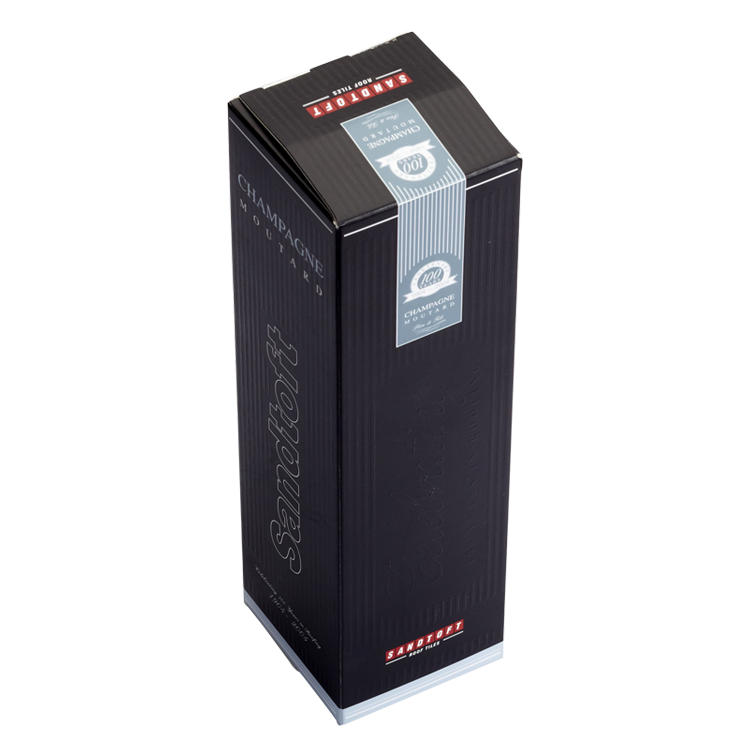 This can even include fragile glassware items with the addition of a bespoke fitment. 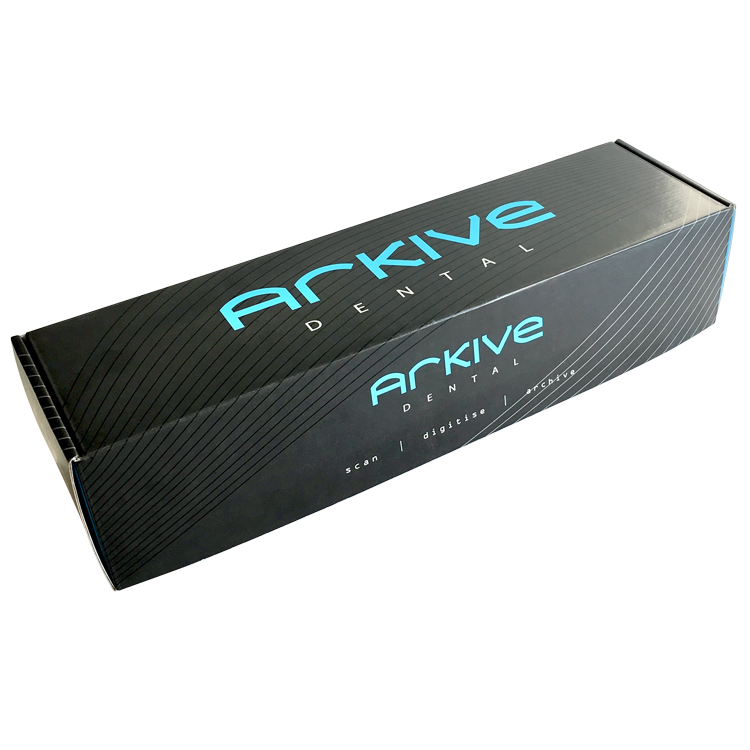 This large outer box has a uniquely designed fitment with 3 layers and has been 2 colour printed using the flexo print process. 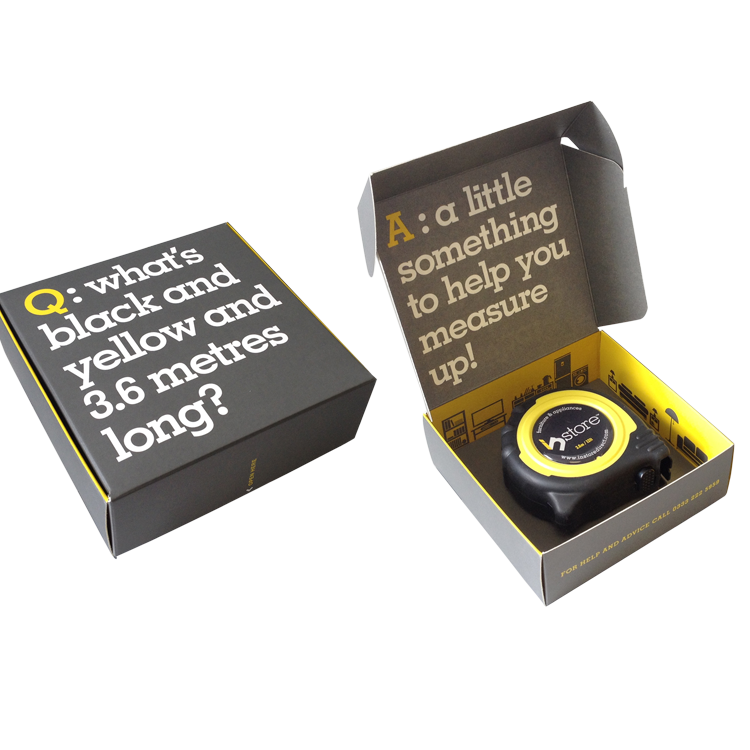 This unique promotional box is designed to hold a full size tape measure and has a matt lamination onto folding box board. 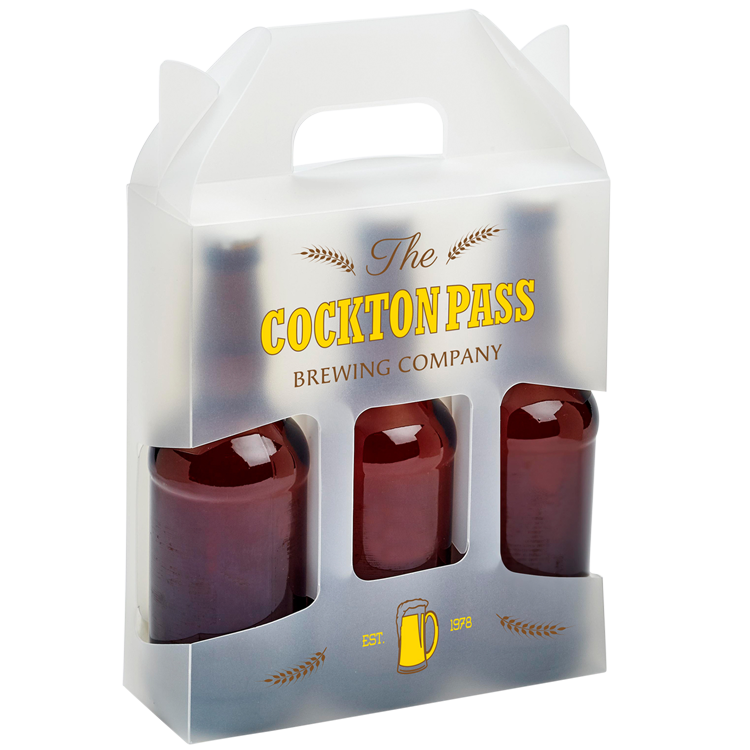 This retail pack produced for Tesco's has been cleverly designed to hold 4 marmalade jars It is printed four colour litho onto a strong carrier board. 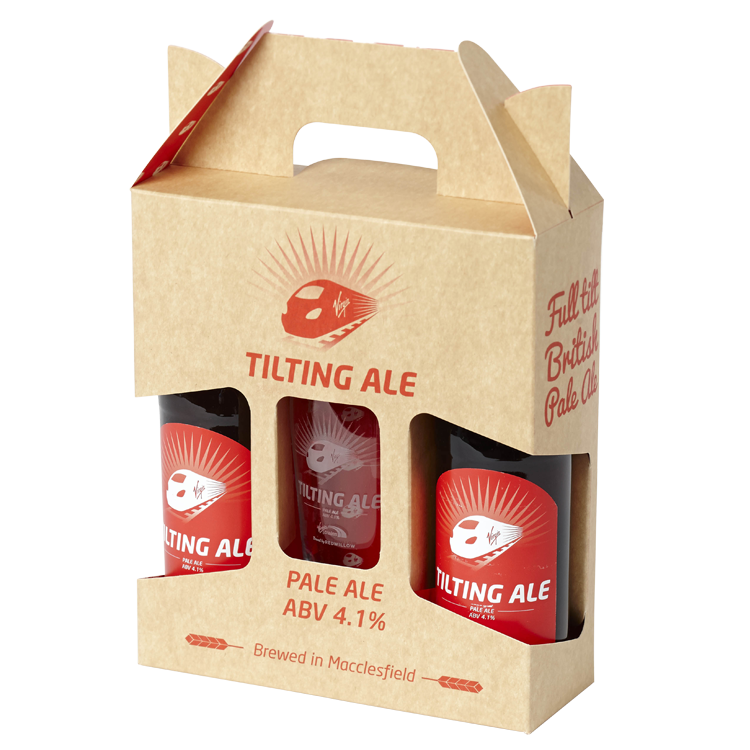 This set of three retail boxes have been designed so the smaller boxes fit perfectly in to the larger ones. 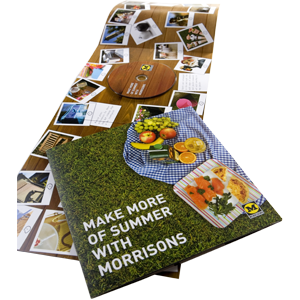 They were produced for retail and online sales and printed four colour litho with a gloss lamination. 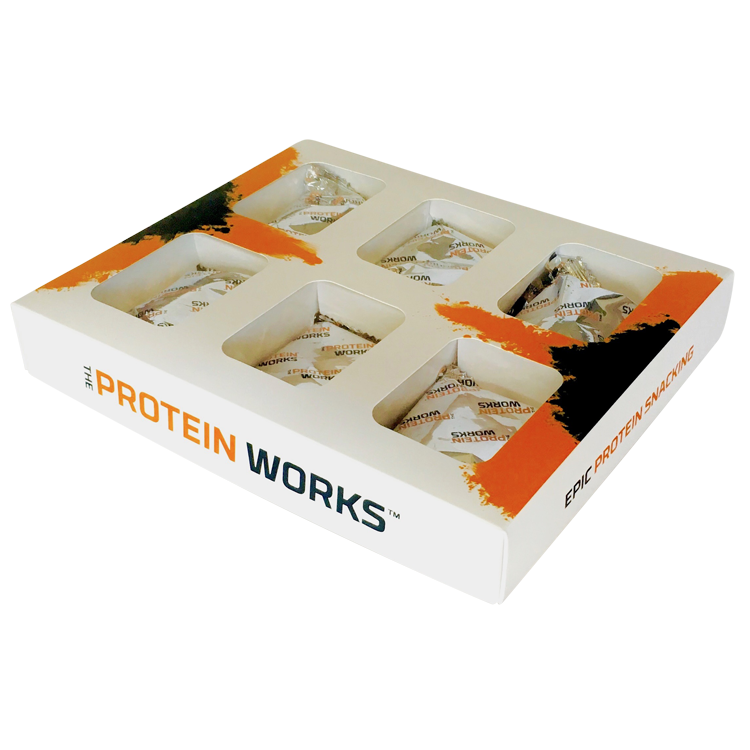 This pack combines 5 colour litho print onto solid board with injection moulded plastic product case with an acetate slip case outer. 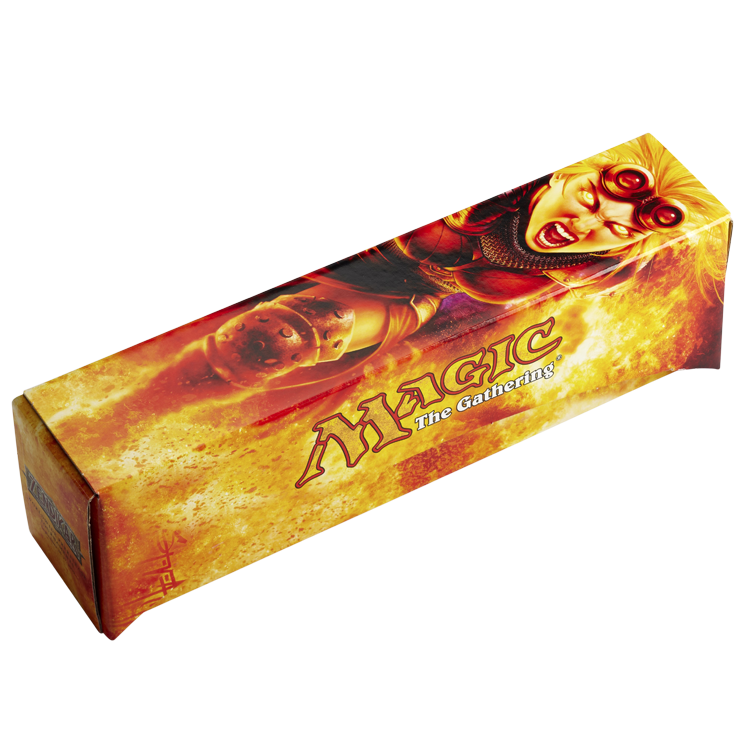 This set of four medium size retail boxes come together to insert into one larger box. 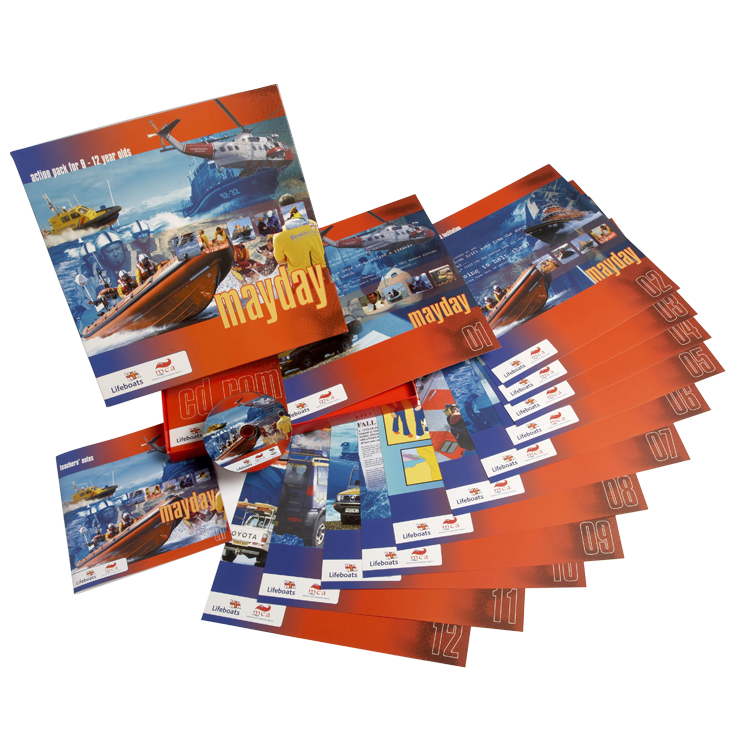 They are printed four colour litho with a gloss lamination onto a folding box board. 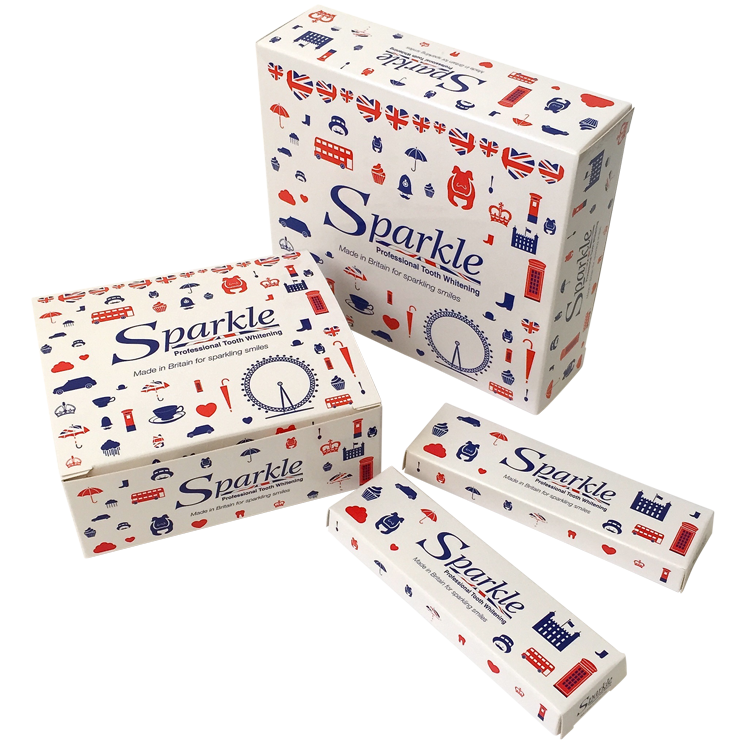 This stylish bespoke belly band sleeve has been printed in 2 colour and has a deboss to the red lozenge logo. 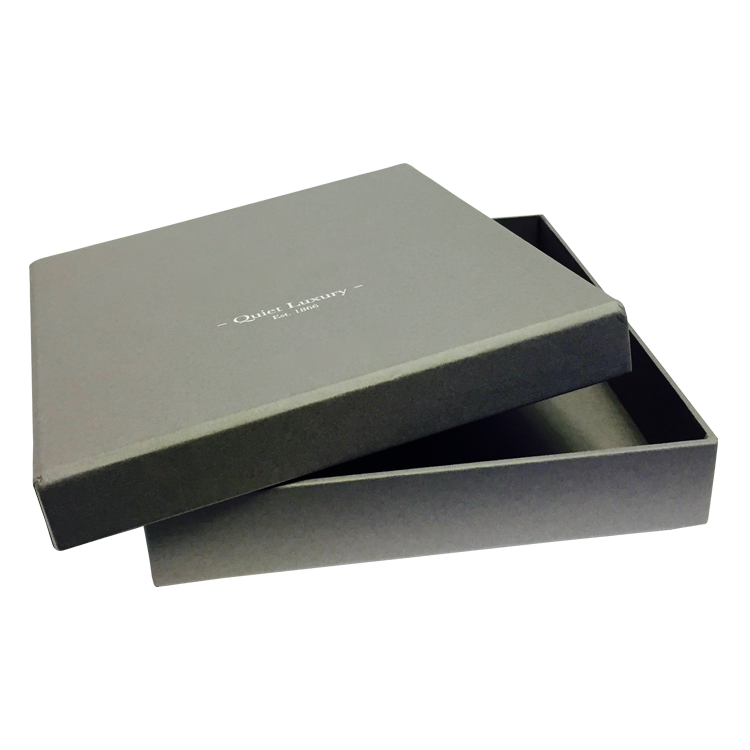 This bespoke paper over board samples box has a 4 colour litho skin mounted onto 1800 micron grey board. 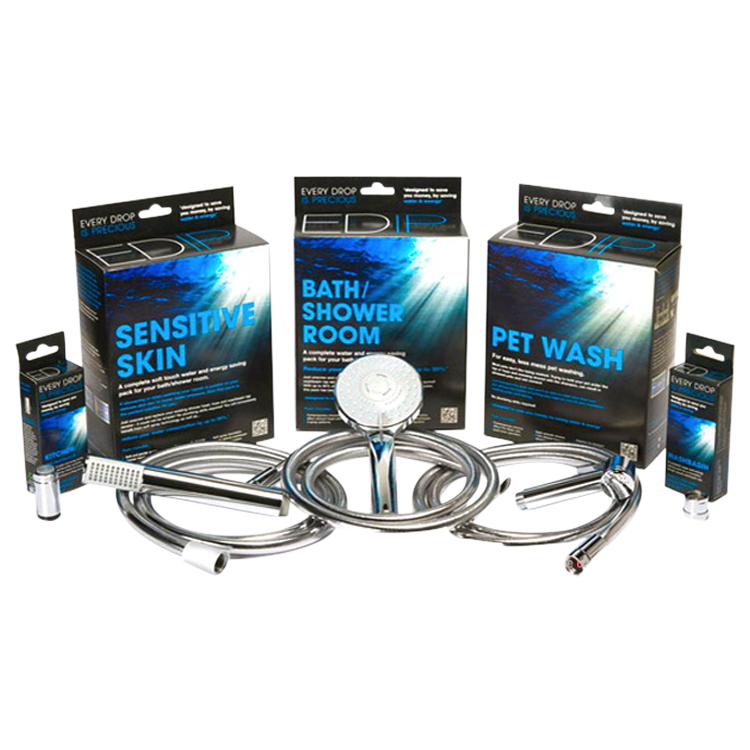 The fitment is high density foam diecut to size. 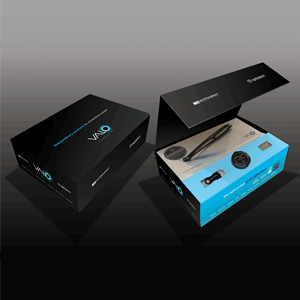 Luxury retail rigid box with ribbon to finish. 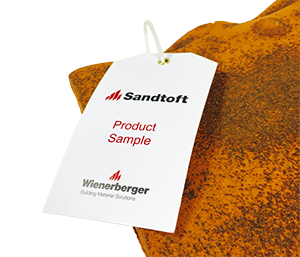 We used brown foil onto a textured cream stock wrapped around a grey board. 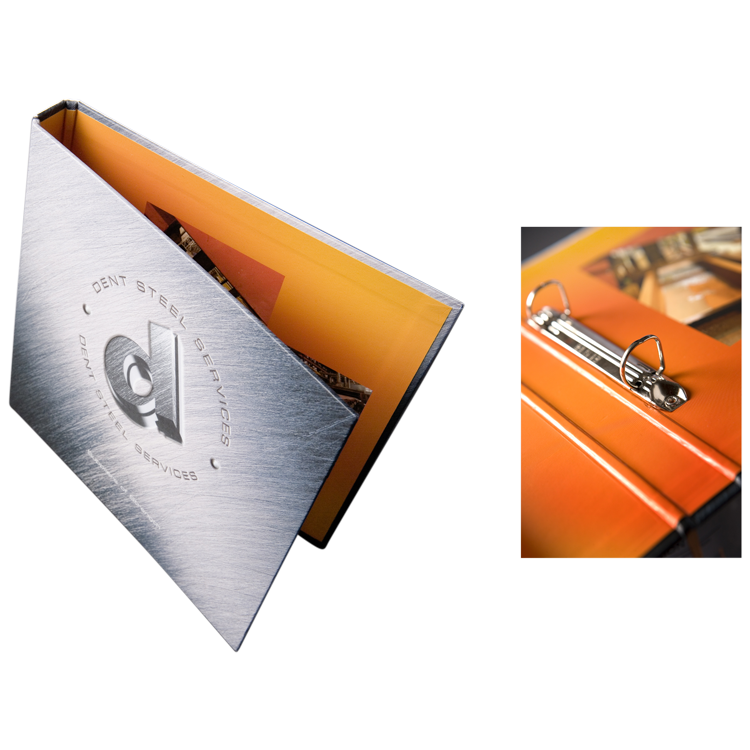 This eye-catching lid and base box combines stunning graphics, with a bespoke fitment to hold a pen knife. Digital print was then wrapped over grey board. We used mounted black Colorplan with white foil and included a purple silk fitment for a luxurious finish with a magnetic closer. 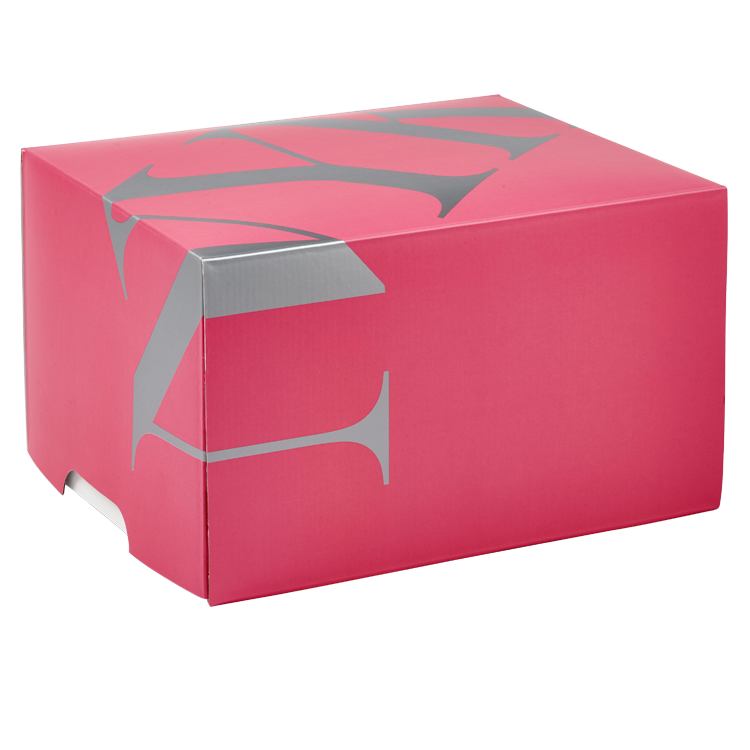 A bespoke lid and base presentation box with single colour litho print mounted on to grey board with a matt laminated and pink foil finish. 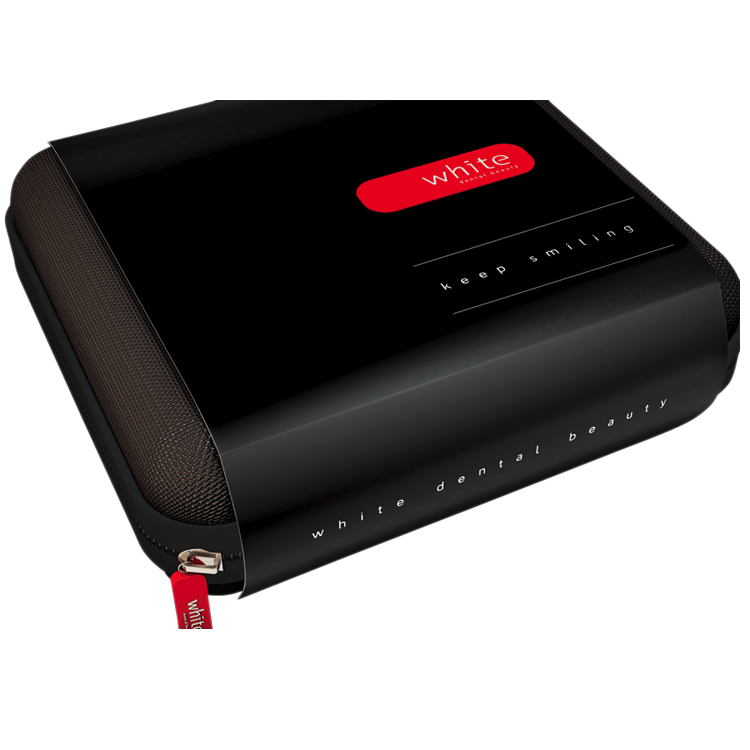 This bespoke luxury branded packaging with 2 fitment options, used are Ebony Colourplan paper over board which have been tastefully embellished with silver foil blocking to the outside and white foil blocking to the inner lid. 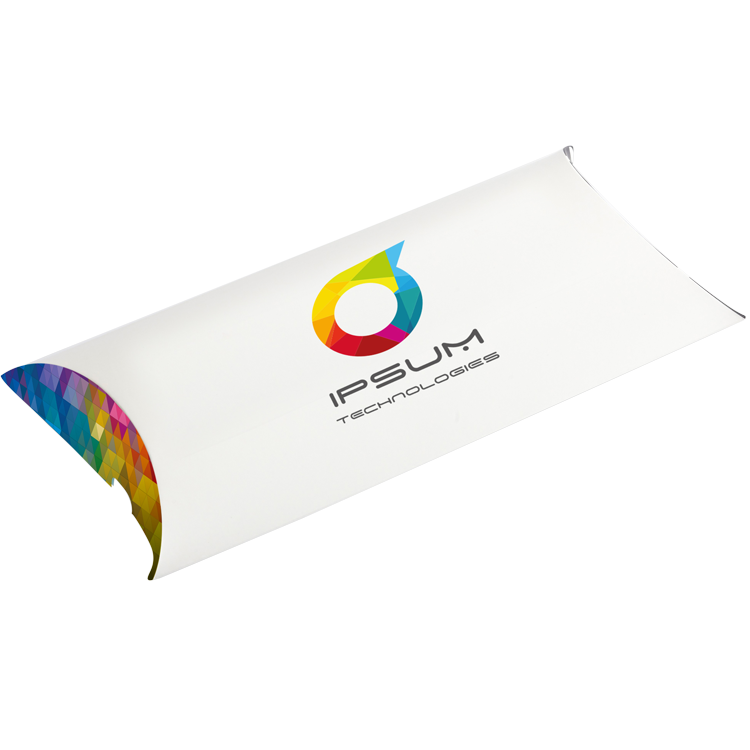 Creating of a one of a kind piece of beautifully branded packaging. 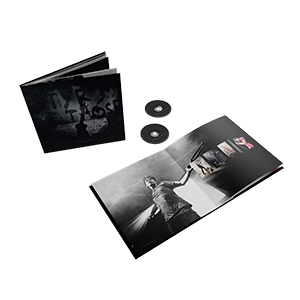 Multi page litho printed hard back book for Gary Numan. 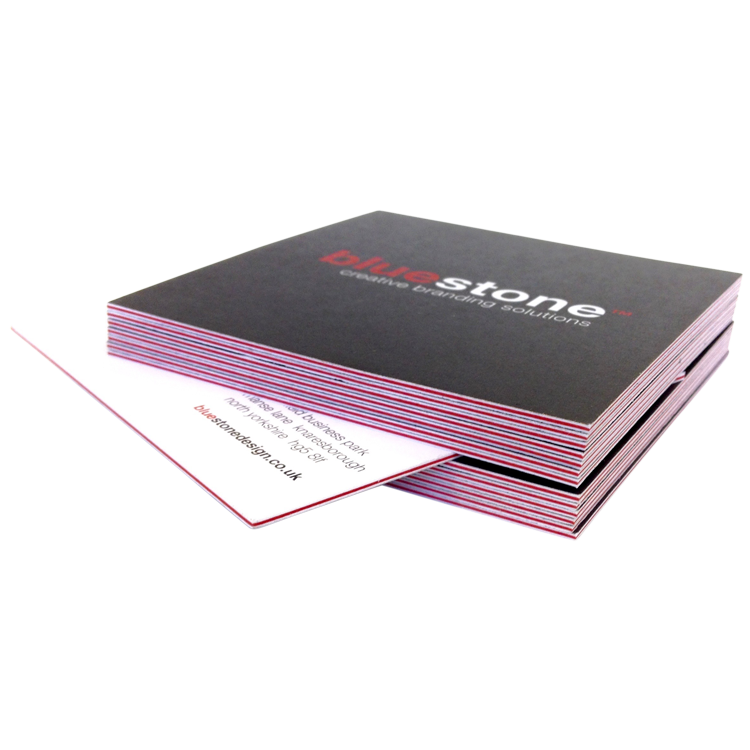 We created the red stripe centre using 3 layers of 350gsm board producing a non bend beautiful card. 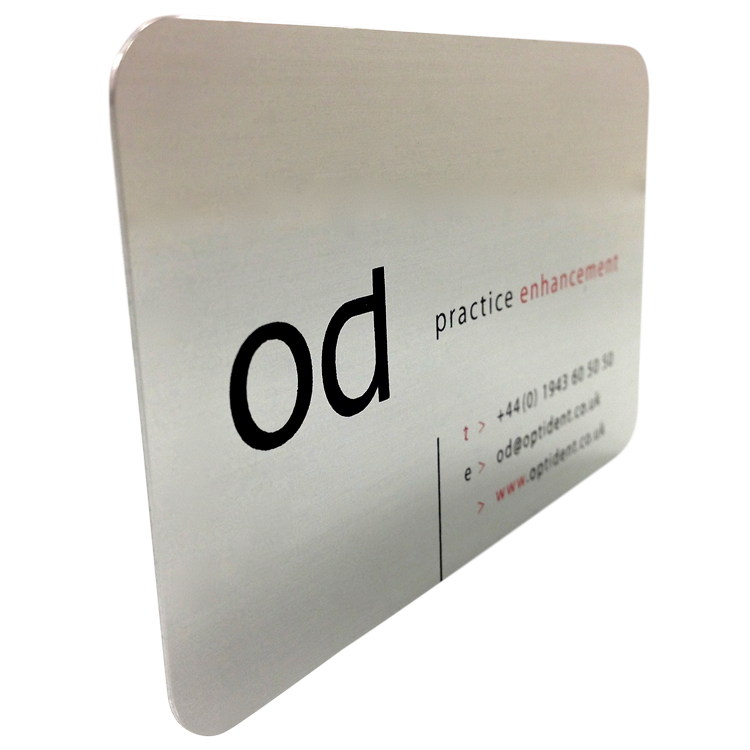 Screen printed both sides with rounded corners on to aluminium for an unusual luxury finish. Litho print on to uncoated white board with brad eyelet and white cord. 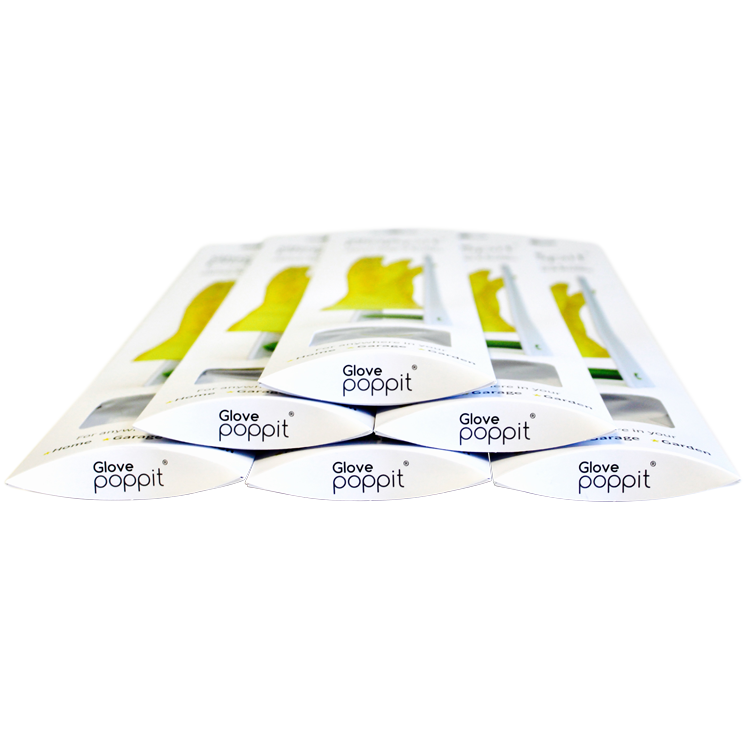 If your product is still at the prototype stage but you are keen to start the marketing process prior to launch. We can produce a computer generated imge of how it will look when completed.